Before the Europeans arrived, the Indigenous peoples were already using the rivers to get around—a much faster way to travel than walking! With Champlain’s arrival in North America, we have more detailed accounts of the routes taken and the lands occupied. In 1637, the Relations des Jésuites [Jesuit Relations] described Île Jésus, once called Île Montmagny, as “big and beautiful” and bordered on the north by the Saint-Jean River. The Jesuits even celebrated the first mass on our island when they set foot here. In 1674, Father Antoine Dalmas sailed around Île Jésus on the Des Prairies River. At two locations on the island, he found Indigenous camps. One was indicated on his map as an “Algonquin camp.” So it seems that Île Jésus was used as a temporary settlement by Indigenous people. They travelled south to trade furs in summer. 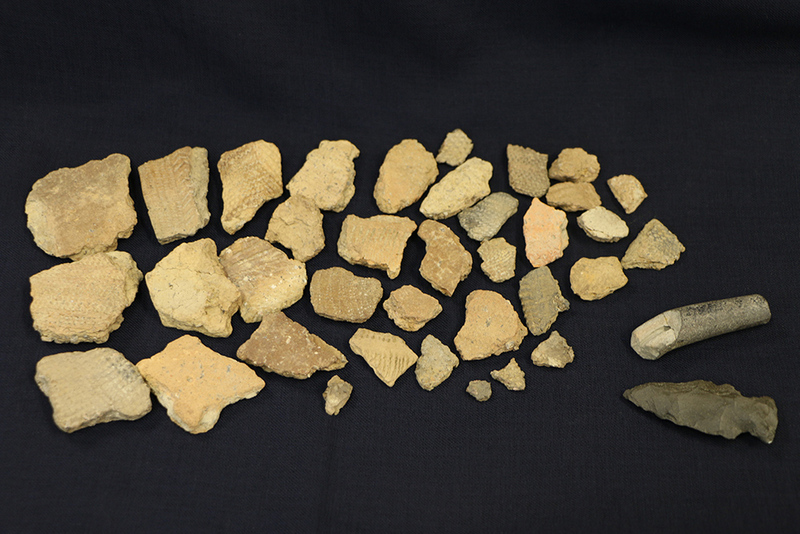 Artefacts of their settlements are still being found today. The Europeans also left traces of their exploration of the island, mostly thanks to the rivers on which they could sail westward. Granted to the Jesuits in 1636 by the Compagnie de la Nouvelle-France [Company of New France], Île Jésus was later ceded to François Berthelot. It was then given to Monseigneur Laval in 1672 in exchange for Île d’Orléans and a sum of money. It was Monseigneur Laval who gave it to the Séminaire de Québec in the end. That’s when the colonization of the island really began.